Should Vendors Offer Early Payment Discounts to Clients? Many small companies get into cash flow problems because they have difficulties managing their client payments. Most commercial clients pay their invoices in 30 to 90 days. That is not a problem if your company has a large enough cash reserve to cover expenses. However, if you don’t have a cash reserve, you have a problem. You could run out of money. This common situation affects small and large companies alike. There is one simple solution to this problem: offer clients an incentive to pay quickly. Offering an early payment discount to your clients can improve your cash flow, often in a short period of time. It’s simple to implement and can be very effective. How do early payment discounts work? Early payment discounts are simple. You offer your client a discount if they pay their invoice in a few days, instead of paying in a few weeks (or months). Discounts range from 1% to 2% if they pay within 10 days. It’s best to offer these types of discounts only to good clients who are paying slowly. The key term here is “good clients.” You can offer the discount to other clients, but you could run into some problems. I will cover those problems when I discuss the disadvantages of this plan. The main advantage of offering an early payment discount is that you can improve your cash flow very quickly. It does not require a lot of work, and it’s easy to set up. The first concern is that your revenues from clients that take advantage of this offer will decrease by 1% to 2%. This will cause your profit margins to shrink. Remember, any discount you give to your client is paid directly from your profits. This won’t be a problem if your company has high profit margins. However, it can be a problem if your company has tight margins. If that is the case, you need to find another solution. Many small business owners don’t spend a lot of time tracking invoices and payments – unless they need they money. This will have to change. If you implement this plan, you must track cash flows carefully. Otherwise, you could end up mistakenly giving discounts to companies that claim that are paying sooner, but aren’t. Some clients might try to take advantage of you. These clients take the discount but still pay on their regular 30-day to 60-day terms. Offering the discount becomes an “all cost but no benefits” proposition for you. Trying to recover the underpayment can be a nightmare and create potential disputes. Ultimately, it can affect your relationship with the client. You will usually end up spending more time trying to recover the underpayment than the discount was worth. This is why I recommend that you offer this benefit only to your best clients – those that value your services and treat you well. Usually, early payment discounts are optional. This means that the client has the option to pay on their usual net-30 day terms at any time, without the discount. Therefore, early payments won’t be very predictable. You run the risk of having cash flow problems again. Some (or all) of your clients may choose to keep paying on their usual terms and not take the discount. If this is the case, consider improving your cash flow by factoring your invoices. 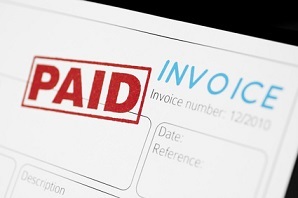 Factoring allows you to finance slow-paying invoices. Instead of waiting up to 60 days to get paid, you get immediate funds from the finance company. The transaction settles once the invoice is paid in full. One advantage of invoice factoring over offering early payment discounts is cash predictability. Factoring your receivables provides you predictable cash flow, which is extremely important for new and growing companies.